Why is an event like Sluice Art Fair so important? We find out from artists and the project's organisers. 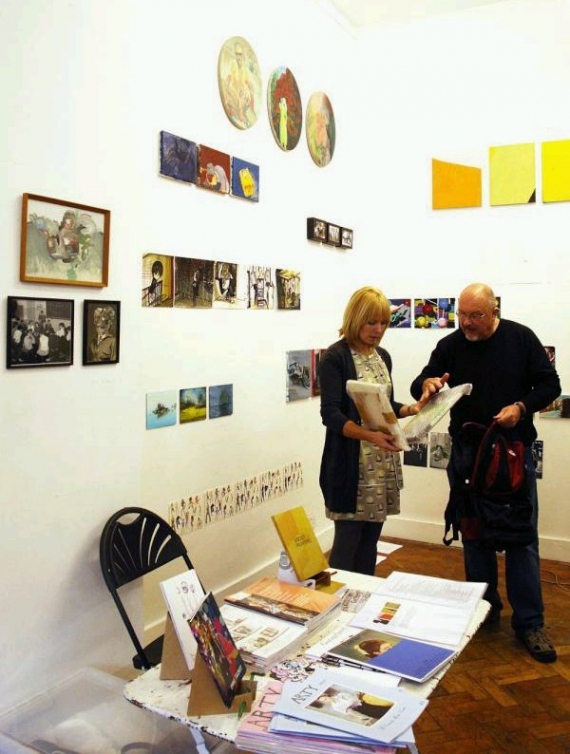 When artist Karl England and curator Ben Street recently announced that Sluice Art Fair would not be running this year, there was a palpable sense of disappointment amongst those who attended the inaugural event in 2011. 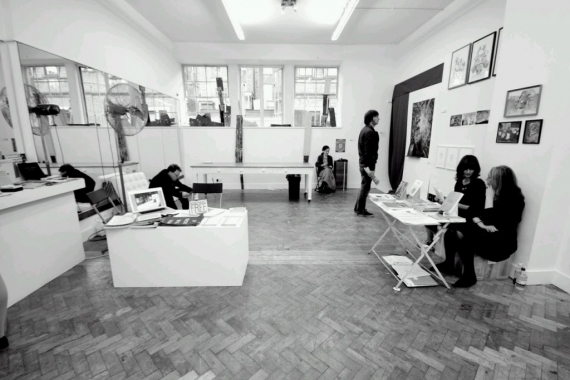 Artist Cathy Lomax founded East London’s Transition Gallery in 2002. Transition took part in Sluice 2011 with a presentation of 2D works by artists including Julie Cockburn, Jessica Voorsanger and Annabel Dover. England and Street’s aim for last year’s event was to offer artists a chance to show in a Central London venue during Frieze, London’s biggest art fair. Artists would be exposed to new audiences, and audiences who might not travel to Hackney Downs, Bethnal Green or Cambridge would be exposed to new work. Although for many galleries the event did lead to sales – “we sold work to buyers that I feel sure would not have made it over to our space in Hackney and had not come across us before,” says Lomax – the last thing on England and Street’s minds was commercial success. The fair was run on a shoestring, daily events and performances were all free, the pitch fee was kept as low as possible (“people laughed when we told them how much we were charging!”) and despite the name, Sluice was more like a huge exhibition than an art fair. It was this ‘Sluice spirit’ – focused on live-ness, community and a commitment to creating the right conditions for viewing – that caught people’s imagination, and that England and Street will be doing all they can to sustain. They’ll be holding a silent auction at Hanmi Gallery on Maple Street from 22-25 October to raise funds, and there’ll be publication launch in October too. They hope the auction and publication will keep the project in people’s minds so that they can do bigger and better things in 2013. “We’d like to spread out, make the event less London-centric,” England says, “and involve more galleries so that more connections can be made.” He cites the example of Brooklyn gallerist Stephanie Theodore of Theodore:Art to illustrate what those connections can lead to. Theodore met artist Chris Baker at Sluice 2011 where he was exhibiting with George and Jørgen. Consequently, Baker has recently shown with Theodore:Art in the painting show There Are No Giants Upstairs.